Just a quick heads up - Dawn is right on the verge of crossing the 100,000 km border, a tiny distance in astronomical terms that doesn't even equal a third the distance from Earth to the moon. What's great about this distance is that we can visualize it in real terms just by taking the most recent image of Vesta. The only thing not to scale in this image of course is the size of Dawn itself. And for another perspective on this, here is what it would look like with Earth being used as the scale. 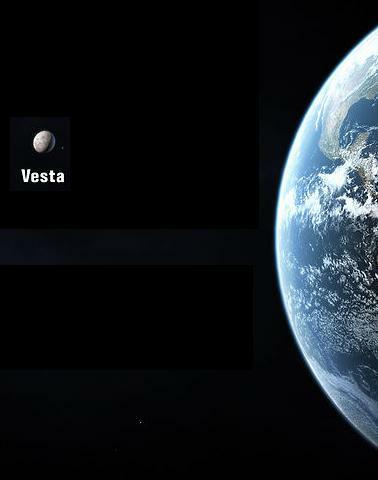 And for the final comparison, Earth with Vesta.